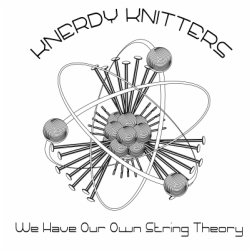 Knerdy Knitters promotes and supports knitting, crochet, and other fiber arts in the SFV. All experience levels and all ages are welcome. ​Join our Meetup group to get reminders about our upcoming events and meetings. Check out our new Instagram account! Come knit or crochet with us! Join us on the 2nd Monday of the month at Four 'N 20 Restaurant Grill & Bakery,5530 Van Nuys Blvd., Sherman Oaks, for food, drink, chatting, knitting and crocheting. The Yarn Club meets on the 3rd Monday of the month in the Food Court of the Burbank Town Center Mall, 201 W. Magnolia Blvd., Burbank, for food, drinks, and lots of knitting and crocheting. Our guild meetings are on the 4th Monday of each month from 7 - 9 p.m. in the Community Room of the Burbank Police Department, 200 N. 3rd St. We discuss our upcoming events, have show-and-tell for our WIPs (works-in-progress) and announce our new knit-a-longs. Guests are welcome. This is a casual gathering of knitters and crocheters on the Saturday before the first Monday of each month from 10 a.m. to noon at Starbucks, 1520 W. Olive Ave., Burbank.